All the stats and facts from the Qualifier 2 match of IPL 2018 between Sunrisers Hyderabad and Kolkata Knight Riders. Sunrisers Hyderabad progressed to the final of IPL 2018 after they defeated Kolkata Knight Riders by 13 runs at the Eden Gardens in Kolkata on Friday night. 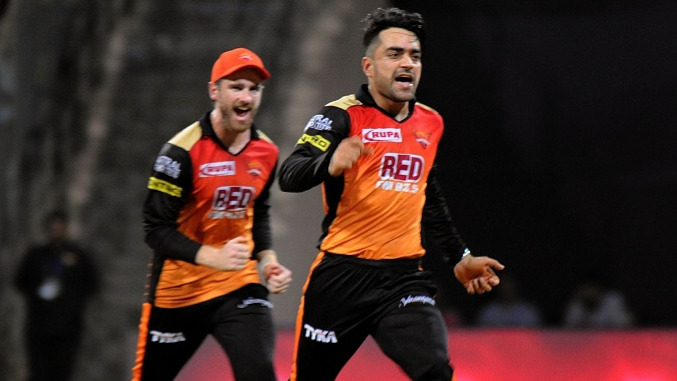 Rashid Khan's 34* runs off just 10 balls helped Sunrisers Hyderabad to post a good total of 174/7 in 20 overs and later in second innings, his 3 wickets helped restrict the Knight Riders for 161/9. The final of this IPL season will be played between Chennai Super Kings and Sunrisers Hyderabad at the Wankhede Stadium in Mumbai on Sunday night. 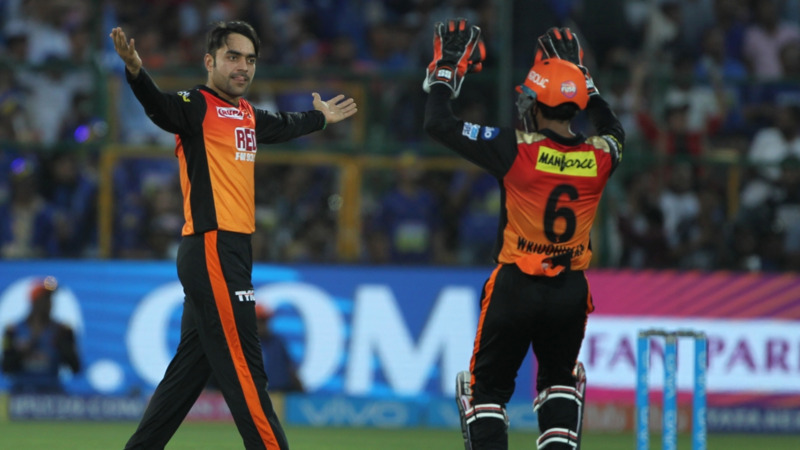 1 - Rashid Khan became the first player in IPL history to score more than 25 runs, take 3 wickets and 2 catch and to affect 1 run out in the same match. 2 - This is the second time Sunrisers Hyderabad reached the final of IPL. SRH reached the final and ended as the champions in IPL 2016. 3 - K Khaleel Ahmed became the third player to make IPL debut in a playoff / knockout match. Nayan Doshi for RCB against DC in 2009 and Sunny Gupta for DD against CSK in 2012 were the other two players who made their IPL debut in a playoff/knockout match. 340 - Rashid Khan's strike rate during his 34* runs off 10 balls innings - the highest by any SRH player in IPL history. The previous highest was 260 by Ben Cutting during his 39* runs off 15 balls innings against RCB in IPL 2016 final. 498 - Runs scored by Dinesh Karthik in IPL 2018 - the most by a wicketkeeper- captain in a single season of IPL. He went past Adam Gilchrist's tally of 495 runs for Deccan Chargers in IPL 2009. 4032 - Shikhar Dhawan became the 8th player to score 4000 runs in the IPL after Virat Kohli, Suresh Raina, Rohit Sharma, Gautam Gambhir, Robin Uthappa, David Warner and MS Dhoni.